We can provide special finishing on jobs for you, so it makes your work stand out agains the rest. For example: Creasing, die cutting, uv coating, perforating, numbering, embossing, foiling. We can laminate your job and also produce NCR books which duplicate onto several copies (2 copies - duplicate, 3 copies - triplicate), such as order books, tax invoice statements, log books. We can also number copies as well. 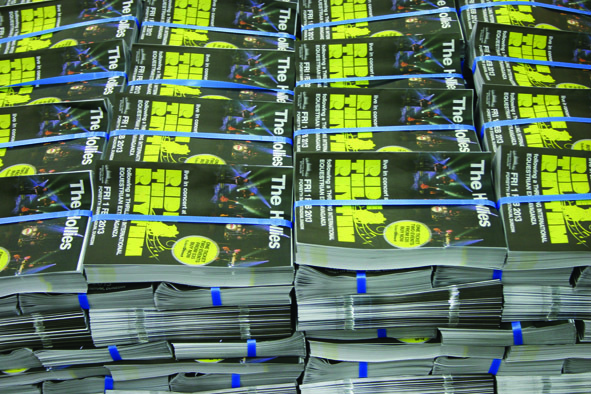 At Otago Daily Times Print we have an extensive bindery which completes the majority of our print finishing in-house. 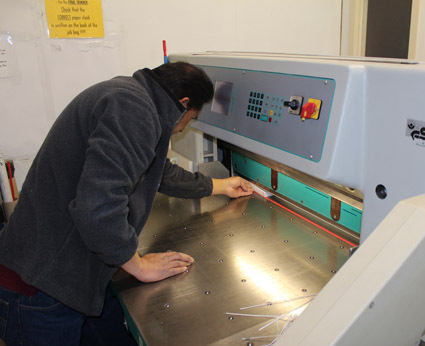 This allows us to maintain the quality of the product right to the finish. We have two guillotines, three buckle folders, eight station saddle-stiticher along with our bindery equipment. Newly purchased and installed is a feature rich, fully automated, book quality, perfect binder.